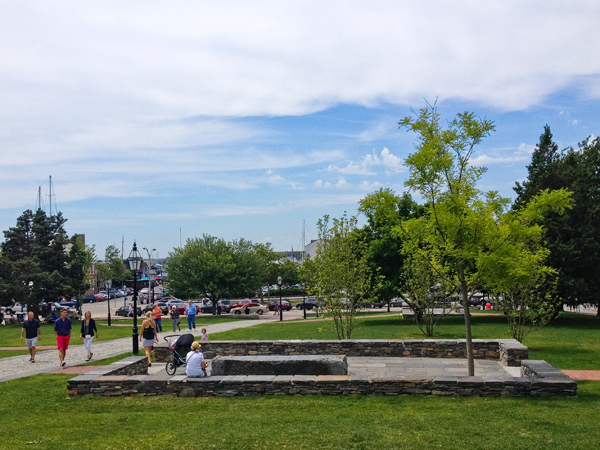 Overlooking the wharf and anchored by Trinity Church, this parcel near the historical heart of Newport became a public park in the mid-1970s. 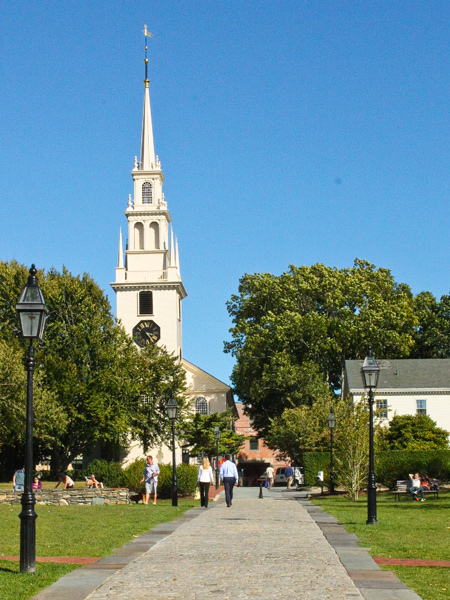 In the late 1770s the colonial-era buildings there were burned by the British or subsequently demolished; but Trinity Church, being Anglican, was spared. 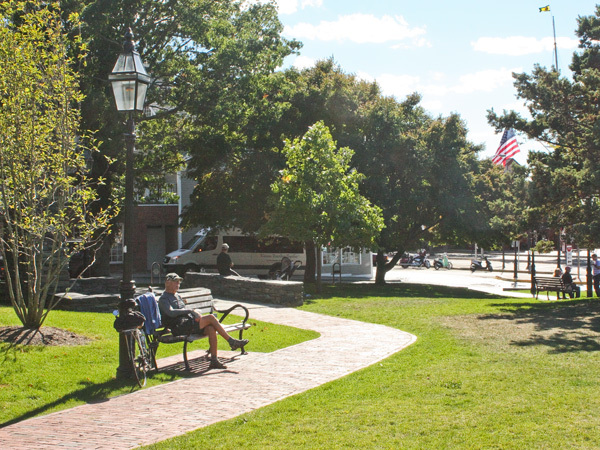 By the 1870s houses and shops had returned, replaced in the mid-twentieth century by a commercial and industrial district. 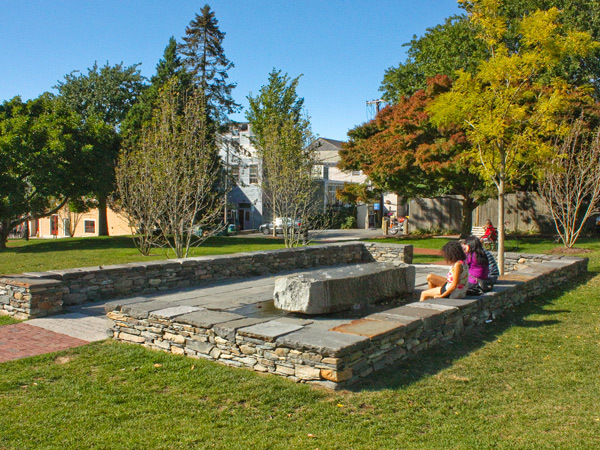 When fire destroyed a furniture store in 1973, the Newport Restoration Foundation, guided by philanthropist Doris Duke, acquired and removed the parcel’s remaining structures (many of which were abandoned), relocated five historic buildings, and created a park with trees, large boulders, and flower beds. 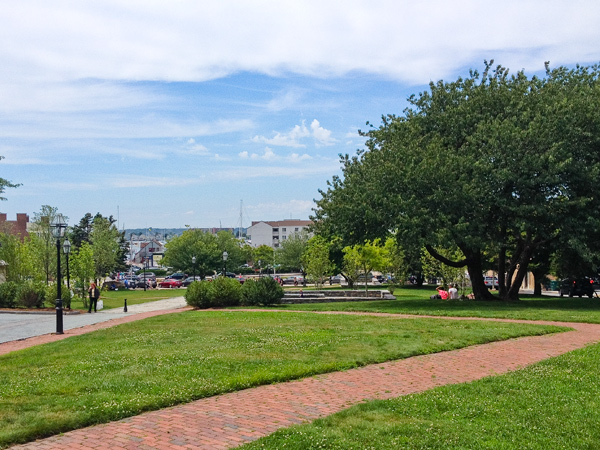 In the mid-1980s, new paths were added, but in 2011 artist Maya Lin and landscape architect Edwina von Gal re-designed the park entirely. 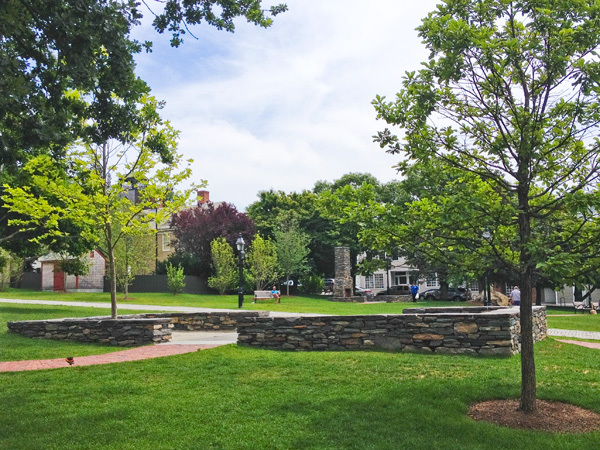 A pedestrian path (formerly a service road) lined with lampposts runs north-south through the one-acre parcel, dividing a manicured lawn crossed by brick-paved walkways, which lead to three outdoor rooms outlined by stone foundations. 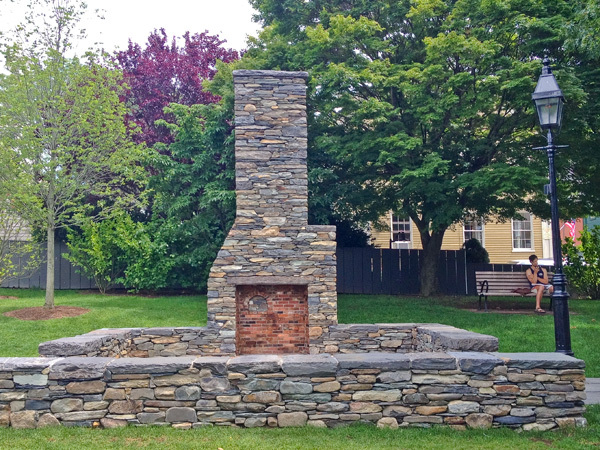 The foundations echo the footprints of buildings from three different eras, and the thresholds of the rooms are inscribed with excerpts from historic diaries and ledgers. 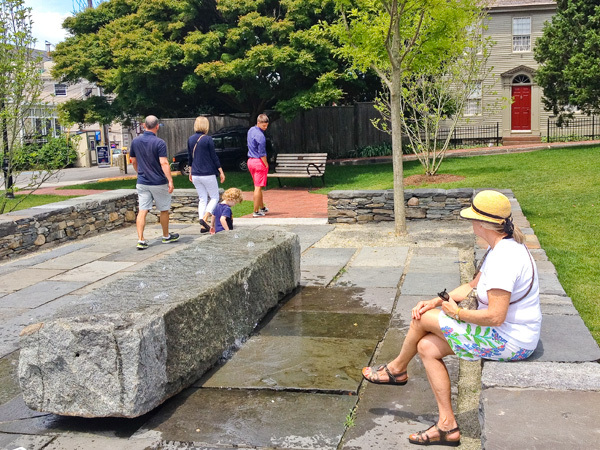 The foundations (built to seating height) are constructed of native Aquidneck Island stone, reclaimed from relocated historic houses, and the floors are paved with bluestone from Newport’s old sidewalks. 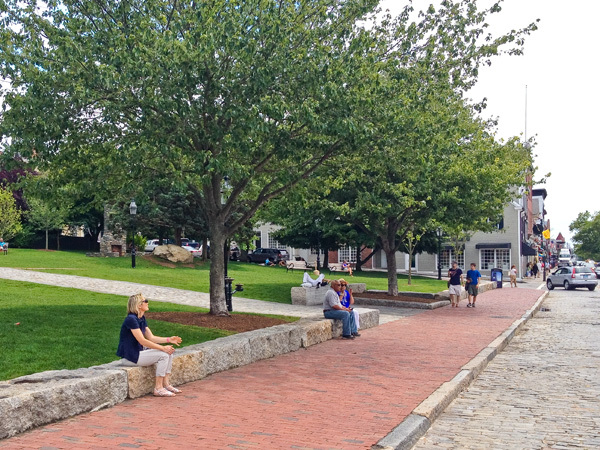 Oaks, elms, maples, and a grove of saucer magnolias are planted throughout, whose placement preserves the view of Trinity Church’s steeple from Thames Street, along which runs a seating wall made of granite blocks from a demolished bridge.